I'd had this wee magnet lying around for a while, annoyingly attaching itself to random metallic crafting supplies, so finally I decided to superglue it to a piece of sea pottery and it's made a lovely little fridge magnet. There are some beautiful pieces of sea pottery out there on beaches everywhere and there are plenty of ways of using them in crafts! I've made rings, brooches (like this one in the Crafty Green Poet Etsy shop) and most recently decorated a picture frame. Have you made any interesting things using sea pottery or sea glass? 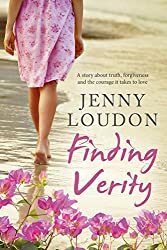 I don't normally read romance novels, and Finding Verity seems at first glance to be purely a romance novel, but when Jenny Louden asked me to review this book she emphasised the connection that the main character Verity has with nature and thus persuaded me to read the book! And I'm glad I did as it's engagingly written and I felt immediately drawn to Verity as a character, her creativity and her relationship to nature. She's a character who notices things, whether it's the leaves on a plane tree or the decor of a house she's visiting. It's also refreshing to have a romantic novel featuring a female protagonist who for most of the book is 'around 50'. A holiday weekend in the south of France unexpectedly brings Verity back into contact with Edward an old friend and pushes her into reassessing her life. It's a very readable novel about finding the courage to live your dreams and explore your creativity and has plenty of drama to make you keep turning the page. I've joined a team of volunteers who will be surveying the plants along the Water of Leith downstream from the Water of Leith Conservation Trust Visitor Centre. This is to update the information held from the previous plant survey made ten years ago. Last year I updated the plant survey information for Colinton and Craiglockart Dells (just upstream of the Visitor Centre and the patch I patrol most weeks). This year my patch is the area running from the visitor centre up to Saughton Park (though not including the park as it is currently being restored and remodelled). We're concentrating on trees and wild flowers, though we include whatever else we can! (I particularly record fungi and ferns). and this carrion crow, which is either a hybrid with a hooded crow (and there are a few such hybrids around here, with differing plumage patterns) or partially leucistic. I look forward to seeing the changing plantlife of the area over the next year! We recently watched Shape of Water, widely tipped to walk away with the best film Oscar this year and it is strangely like a parallel reality to Hidden Figures, which should have won the best film Oscar last year (you can review my brief review here). In Hidden Figures (a story based on historical facts) Octavia Spencer plays brilliant mathematician Dorothy Vaughn who in 1961 was a vital part of the team behind putting the first US astronaut in space. In Shape of Water (very definitely not based on historical fact), set around 1962, Octavia Spencer plays Zelda a cleaner who along with her colleague Elisa (Sally Hawkins) becomes aware of a strange water creature in the top secret government facility where they work. NASA are interested in how this creature could help their research in the space race. To make this feeling of parallel realities even stronger, the sets of the research centres in the two films are very similar. So I got to imagining Dorothy Vaughn dreaming of finding a sea monster while working as a cleaner or is Zelda dreaming of being a top class mathematician? Anyway these musings added another layer of enjoyment to what is already an excellent film. Shape of Water is showing at Edinburgh Filmhouse until 15 March. As I took this photo (on Corstorphine Hill) two sparrowhawks were circling each other high above (probably a courtship display) not far from a buzzard (probably hunting). Lovely to watch! While waiting for the bus home, I watched two bumble bees (probably buff tailed bumbles) flying round this heather. The bees didn't pose for their photos, but the heather is still very photogenic. Sadly there haven't been any bunnies on this slope outside the hotel for over a year now. They used to offer great entertainment while waiting for a bus. Of course there's plenty of animal entertainment in the nearby zoo, but we miss the bunnies! temptation in the fruit bowl. Previously published as part of Gabrielle Bryden's Citrus Fiesta. Meanwhile I've posted another poem on my Shapeshifting Green blog, you can read it here. This bookmark is made from the final piece of felt from the same square I used to make the two original pink bookmarks. Again it's just one piece of felt, as this felt is relatively thick and robust. So this is an ideal bookmark if you don't like too much thickness between the pages of your book! 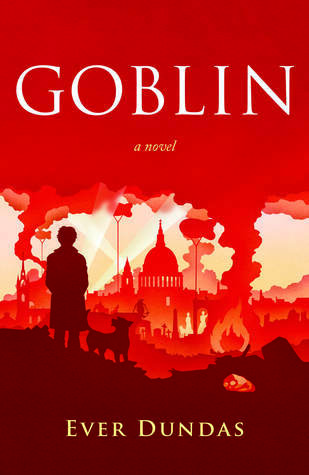 Goblin is an outcast girl growing up in London during World War Two. She witnesses a brutal and shocking event that pushes her into creating and living in her own imaginary world. She gathers a menagerie around her, made up of real animals (including Groo the cat who grooms all the other animals, and the very characterful Corporal Pig) and invented creatures (including Monsta, created from bits and pieces and brought to life with Goblin's blood). Goblin wanders London, using the fact that she looks like a boy (and allowing people to think she is a boy!) to get away with things that girls back then couldn't get away with. She runs away to the circus where she finds adoptive parents and a community of misfits who she (most of the time) fits in with. She travels Europe with the circus, having relationships with men and women (she's refreshingly matter of fact about her bisexuality) and settles in Venice, where she hopes eventually to be reunited with her brother who she hasn't seen since childhood. In a parallel story running through the novel, Goblin now old, is working in a library in Edinburgh and trying to avoid confronting the upsetting trauma from her childhood. Will Goblin find her brother? Will she be able to give up her imaginary world and learn to live fully in the real world? Will she be able to confront and come to terms with her trauma? This is a wonderfully imaginative and beautifully written debut novel. Goblin by Ever Dundas published by Saraband. The hazel catkins are also putting on a wonderful display and the tiny red female flowers are also out, can you see one in this photo? I smelt this patch of wild garlicc before I saw it! and this tree trunk looks very autumnal covered with fungi - not sure on the species here, I thought hairy stereum at first but I'm not sure. If you can identify this fungus, let me know in the comments! The birds were singing too, it was particularly nice to hear the loud repetitive song of the song thrush and the slow melancholy song of the mistle thrush. There were plenty of other birds at Cramond too including good numbers of lapwings and curlew, with a small flock of geese (probably pink footed geese) flying over. Plenty of sheep in the fields too, they're only there some of the time, I think they're taken to other fields sometimes. Thanks Crafty Green Boyfriend for these photos! 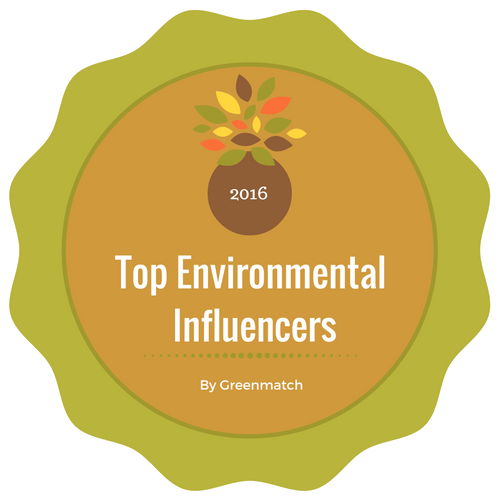 The crisis of plastic pollution that is affecting our waterways and oceans is big news at the minute. Many supermarkets are pledging to reduce their plastic use while others are digging their heels in. The Queen has pledged to make Buckingham Palace and the Royal Estates plastic free and BBC are going to ban single use plastics by 2020. This article here is excellent in teasing out some of the complications round the issue - for example, some foods, such as cucumbers, keep much better when wrapped in plastic, so the use of plastic here reduces food waste. (On the other hand, in my own experience most foods keep just as well without plastic and mushrooms really shouldn't be kept in plastic - I really can't understand the stores that insist on packaging mushrooms in plastic punnets.) Part of the secret though is to buy the food you need when you need it, rather than buying fruit and vegetables in bulk (though this depends on you living or working close to good grocery stores). Also take your own reuseable carrier bags and produce bags or refuse produce bags at all where possible. 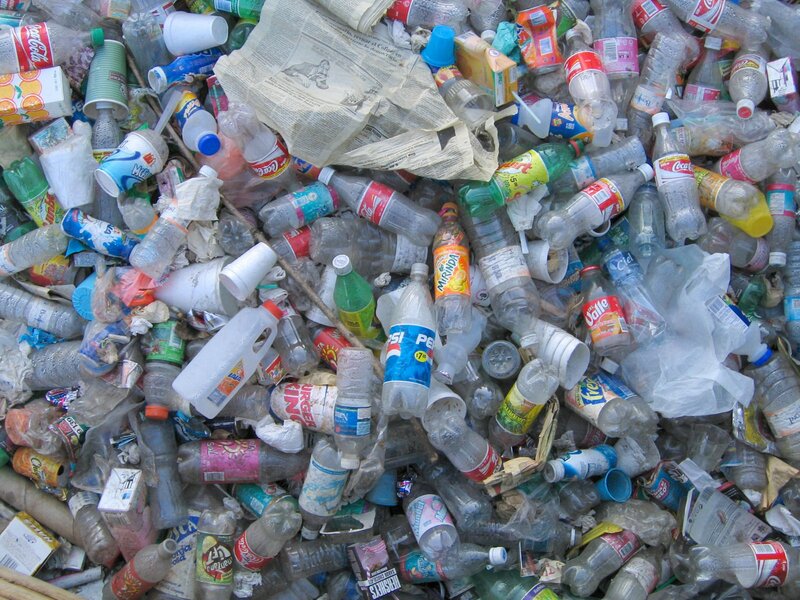 What is undeniable however is that plastic waste is compromising the health of our riverine and marine environments. As part of a response to this Friends of the Earth Scotland have started Plastic Free Fridays! They are asking people to sign this pledge to reduce their use of plastics and to completely avoid single use plastics on Fridays. And to help you, they have compiled a list of ten top tips to reduce plastic use. Do you have any top tips for reducing plastic use? Share them in the comments section! It's a lovely winters day today with beautiful blue skies and low sun creating wonderful shadows of the trees in the Meadows area of Edinburgh. A flock of 30 redwings was flying around in the trees, lovely to see so many, they're not as reliable a winter sight in this part of town as they used to be. The trees in the Meadows aren't going anywhere as far as I know but then these days you turn your back for a minute and suddenly a whole load of trees are felled. Sheffield in England has been notorious for this recently, as the council there entered into a road maintenance contract that involved removed huge numbers of mature trees from the city's streets. There's been a huge outcry on social media and in the city itself with many people decorating the trees and holding demonstrations. You'd think that the message would reach Sheffield Council and councils across the country. But no, Sheffield council continues to fell its trees, currently people are trying to prevent the felling of a rare elm tree (rare because it is resistant to Dutch elm disease and valuable also as it is a home to the rare white letter hairstreak butterfly.) To find out more or join in the campaign to save Sheffield's remaining street trees visit the Sheffield Tree Action website. Meanwhile Edinburgh has jumped on the bandwagon of chopping down healthy trees - the trees outside the Cathedral on Picardy Place have all been felled, almost before the completion of the consultation on traffic management in the area. So trees are lost to improve the area for cars, making the place look like a concrete wasteland and ruining the environment for pedestrians and cyclists, not to mention the birds that lived in the trees. Plus the controversial redevelopment of Edinburgh's Meadowbank Stadium includes plans to remove the beautiful healthy trees at the front of the current stadium. You can find out more about the protest group here and sign the petition to save the trees here. There will be two public meetings about the plans, you can find out more here. 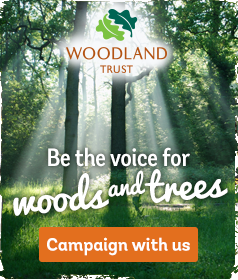 One of the problems can be that trees sometimes seem to be felled almost secretly, or the felling plans are under the radar or the maps showing the proposed development can be difficult to interpret in terms of how they affect the trees in the area. You almost need to be able to keep one step ahead of the council's planning department, which is tricky to say the least. Urban trees are valuable for many reasons. Trees in our towns and cities help to cool the air, reduce wind speeds and provide shade, which makes the environment more pleasant. Trees help to protect soils and support urban wildlife. Urban trees can also reduce air pollution and relieve stress.You can find out more about the benefits of urban trees here. So wherever you are, stay vigilant and stand up when you can for your local trees. previously published on Lyrical Passion Poetry. meanwhile for those of a more romantic disposition, I've posted my poem Admired over on my Shapeshifting Green blog, you can read it here. 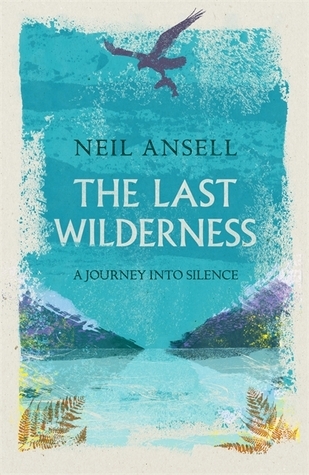 Subtitled A Journey into Silence, this is a beautifully written account of one man's explorations of the Highlands of Scotland as he meditates on his increasing deafness (which he measures by the birds he can no longer hear sing) and the loss of species from our countryside. He writes about his preference for being in nature by himself and I can totally understand that love of solitude, however as it becomes clear that failing hearing is not his only health concern it starts to seem foolhardy of him to be out there by himself, not for him alone (that is after all his decision to make) but because he is single parent to two children. I love the way he weaves together his observations of the Scottish Highlands alongside similar experiences in other times or other places (though this does become slightly confusing on occasion, perhaps deliberately so). It's very cold today with a light dusting of snow on the ground but it's lovely to be out. This grey heron was patiently standing in the Water of Leith - it was in the same position when I walked by at both the start and end of my circular walk round Craiglockart Dell. We had a lovely walk today through Inverleith Park and Edinburgh Botanic Gardens. It even treated us to a fishing masterclass though we didn't capture that on film! Thanks Crafty Green Boyfriend for the bird and squirrel photos! I like buying random craft supplies from 2nd hand shops and then seeing what I can make from them! I recently bought some squares of thick felt which I then cut into three to make bookmarks which I've decorated with pre-cut felt shapes that came from two different packets, bought from two different 2nd hand shops. I then sewed everything together and added tassels, using embroidery thread from a stash of sewing supplies given to me by a friend. The bookmarks are all identical on both sides and because the felt is nice and thick they're quite robust without being too thick for placing in a book. Having said that I've noticed that most felt bookmarks on sale on Etsy are made from two layers of felt sewn together so I'll look into that more. What are your thoughts on the thickness of bookmarks? Please feel free to add your comment below! and stories told in hotel breakfast rooms. leaving footprints by our less romantic waters. Our paths cross yours on every weekend walk. Previously published on Misty Mountain Review. 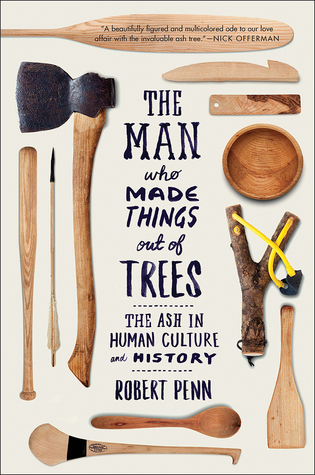 Rob Penn felled a single ash tree and set out to make as many things as possible from the wood. He travelled widely to visit master crafters who took parts of his tree and made it into over 40 items including: a desk, kitchen worktops, spoons, a tobbogan and axe handles. In the process, Penn investigates many of the dying woodworking skills, such as wood-turning and arrow-making, spending time with the crafters and understanding their close relationship with the wood. He investigates the qualities of ash and how it is in many ways superior to other woods for making items such as baseball bats, though not often used for making desks. He looks at the history of ash in the British landscape, the history of ash as a material for specific items including toboggans, axe handles and chairs, the cultural significance of hurling (the national sport in Ireland, played with an ash stick) and the value of wood as a natural material superior in most ways to man-made materials. He makes a very good case for wood being a reliable, long lasting sustainable resource. Sustainable that is as long as it is sustainably grown and managed, which is an aspect that this book could have delved into in more detail. This is a beautifully crafted book, full of fascinating insights and imbued with appreciation for a unique and very special material. There's a sad epilogue to the book though, as ash is threatened by diseases - ash die-back disease has spread throughout Europe, killing many trees while the emerald borer beetle has devastated ash forests in the USA. What is the future for this most valuable and beautiful of trees? On a rainy day Gorgie City Farm is a lovely place to visit, as it's almost on our doorstep.